It’s easy to move up in this growing company of nightspots and restaurants. 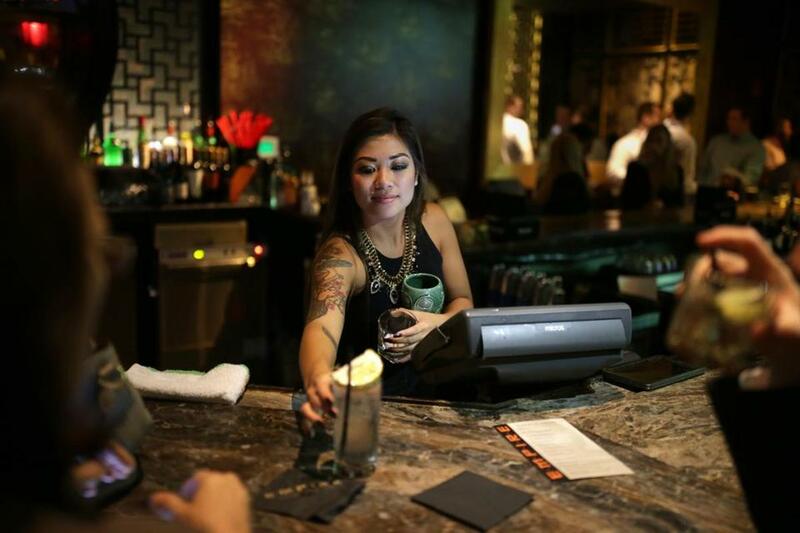 Nancy Nguyen is a bar manager at Big Night’s Empire Restaurant and lounge, in Boston’s Seaport District. BIG NIGHT ENTERTAINMENT GROUP co-owner Ed Kane believes the way to create high-end hospitality at his company’s eight restaurants and nightclubs is by employing only the very best people. Big Night, whose properties include Boston’s Red Lantern and Empire, plans to open four new venues between 2017 and 2019. Kane has two strategies to attract and keep the very best: Pay workers well, and cultivate an environment in which every server and sous chef can be heard and contribute to the company’s success. A magic moment: When Jamie Pollock, director of operations for Massachusetts, attended his first Big Night management meeting, he decided to take a chance and throw out some ideas, even though he was the new guy. He knew he was someplace special when his proposal — a first-time diner program to help hook new customers — was welcomed warmly and quickly implemented. “They really listen to their employees and run with it,” he says.